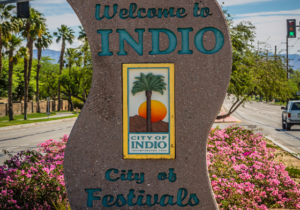 November 14, 2018 – INDIO, CA – With a string of #1 classics including the most-played song in radio history (“You’ve Lost That Lovin’ Feelin”), Rock & Roll Hall of Famers The Righteous Brothers topped the charts for over four decades and now they’re bringing their latest world tour to The Special Events Center at Fantasy Springs Resort Casino on Friday, February 15, 2019. Bill Medley is truly one of the most iconic figures in American music history. His instantly recognizable baritone has anchored some of the biggest recordings of all time and he’s won a Grammy, an Oscar, a Golden Globe, and an American Music Award. In 1963, he and Bobby Hatfield toured as The Righteous Brothers, opening for both The Beatles and The Rolling Stones on their first U.S. tours. Soon, The Righteous Brothers caught producer Phil Spector’s attention and he signed them to record what would become the most played song in the history of American radio, “You’ve Lost That Lovin’ Feelin’”. A string of top hits such as “Soul & Inspiration” and “Unchained Melody” followed until 1968 when Medley and Hatfield agreed to part ways to pursue solo efforts. Medley soon scored with top ten hits, “Peace, Brother, Peace” and “Brown-Eyed Woman”. In 1974, Bill and Bobby re-united and within a few weeks had yet another monster hit with “Rock and Roll Heaven”. In the 1980’s, Bill also recorded the chart- topping duet with Jennifer Warnes, “The Time of My Life”, for the movie Dirty Dancing, which went on to sell over 32 million copies worldwide. The Righteous Brothers never stopped performing to packed crowds and were inducted into the Rock & Roll Hall of Fame shortly before Bobby Hatfield passed away in 2003. After Bobby’s death, Bill Medley continued to play to sold out crowds around the world but fans urged him to keep The Righteous Brothers alive. Medley says, “No one could ever take Bobby’s place but when I caught Bucky Heard’s show, it all came together. I found the right guy to help me recreate the magic.” Bucky has a reputation as a gutsy rock and roll singer, with an incredible vocal range. He’s been hand-selected to share the concert stage with legends, like Andy Williams and Glen Campbell, and honored as “Male Vocalist of the Year” by entertainment publications. Together as The Righteous Brothers, Bill and Bucky will give the audience at Fantasy Springs Resort Casino a show they will never forget. Tickets for the 8pm Righteous Brothers performance on Friday, February 15, 2019 go on sale this Friday, November 16th for $59, $49 and $29 at the Fantasy Springs Box Office, via telephone at 800-827-2946 or online at www.FantasySpringsResort.com.